Alan Brian Carter (born 1952, Lincolnshire, England) is the Professor of Moral Philosophy at the University of Glasgow. He earned a BA at the University of Kent at Canterbury, an MA at the University of Sussex and a DPhil at St Cross College at the University of Oxford. Carter's first academic position was Lecturer in Political Theory at University College Dublin. He then became Head of the Philosophy Department at Heythrop College, University of London. Subsequently, he was Professor of Philosophy and Environmental Studies at the University of Colorado at Boulder. He has been a Visiting Professor at the University of British Columbia and at the University of Bucharest. Carter is currently joint editor of the Journal of Applied Philosophy. He works principally in political philosophy, moral philosophy, and environmental philosophy. Carter has published on a wide range of topics: within political philosophy he has written on political obligation, equality, and property rights; within environmental philosophy he has written on the moral status of both nonhuman animals and ecosystems; within applied ethics he has written on problems regarding future persons and world hunger; within political theory he has written on theories of the state and Third World underdevelopment; and within Marxism and Anarchism Carter has written on their respective theories of history. He is currently developing an environmentalist moral theory that is, normatively, value pluralist and, metaethically, projectivist, topics he has previously written about in moral theory. Some of Carter's work in environmental philosophy is discussed critically by Robin Attfield. Carter's state-primacy theory has been discussed by Robyn Eckersley and criticized by John Barry. and, most fully, by Simon Hailwood. Carter was one of the founder members of the London-based Anarchist Research Group. Colin Ward has described Carter, with Murray Bookchin, as one of the leading eco-anarchist thinkers. 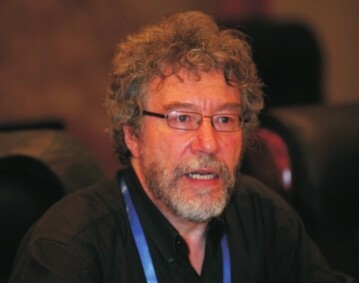 Outside of academia, Carter is Chair of the World Development Movement Scotland and is on the Board of Directors of Friends of the Earth Scotland. He is a former Board Member and a former Trustee of Friends of the Earth. ^ "University of Glasgow :: Philosophy :: Our staff". http://www.gla.ac.uk/departments/philosophy/ourstaff/. Retrieved 2007-11-06. ^ See for example Attfield, R., Environmental Ethics: An Overview for the Twenty-First Century. Polity-Blackwell (2003). ^ Eckersley, R. The Green State: Rethinking Democracy and Sovereignty. MIT Press (2004). ^ Hailwood, S. How to be a Green Liberal: Nature, Value and Liberal Philosophy. Acumen (2004). ^ Goodway, D. (ed. ), For Anarchism: History, Theory, and Practice. Routledge (1989). ^ Ward, C. Anarchism: A Very Short Introduction. Oxford University Press (2004).